Buceros panini Boddaert, 1783, Panay, Philippines. Two subspecies. 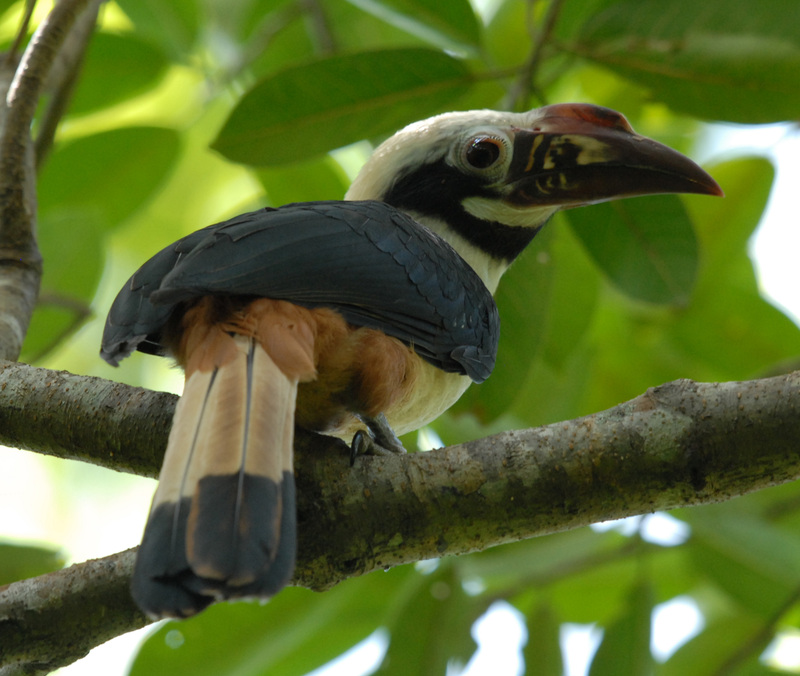 English: Visayan Hornbill, Panay tarictic hornbill, rufous-tailed hornbill; French: Calao tarictic; German: Visayan-Tariktikhornvogel; Spanish: Cбlao Chico de Panay. 17.7 in (45 cm); weights unrecorded. Small in size with prominently ridged bill. 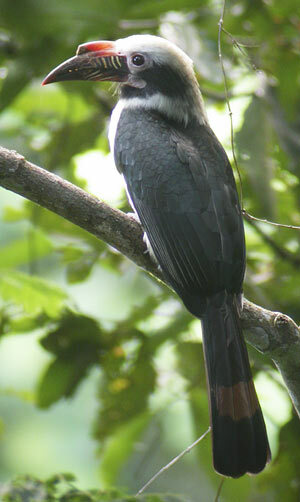 Black with yellowish head and rufous tail and underparts; female all black with rufous tail. Philippine islands of Masbate, Panay, Sicogon, Pan de Azucar, Guimaras, Negros, and Ticao. up to 4,900 ft (1,500 m) altitude. 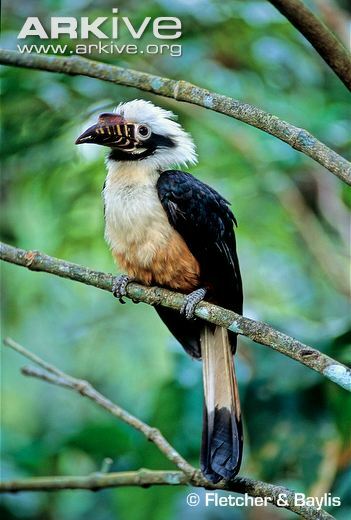 Territorial, living in family groups of two to three and, rarely, 12 birds. Omnivorous. Forages mid-canopy and at forest edge. 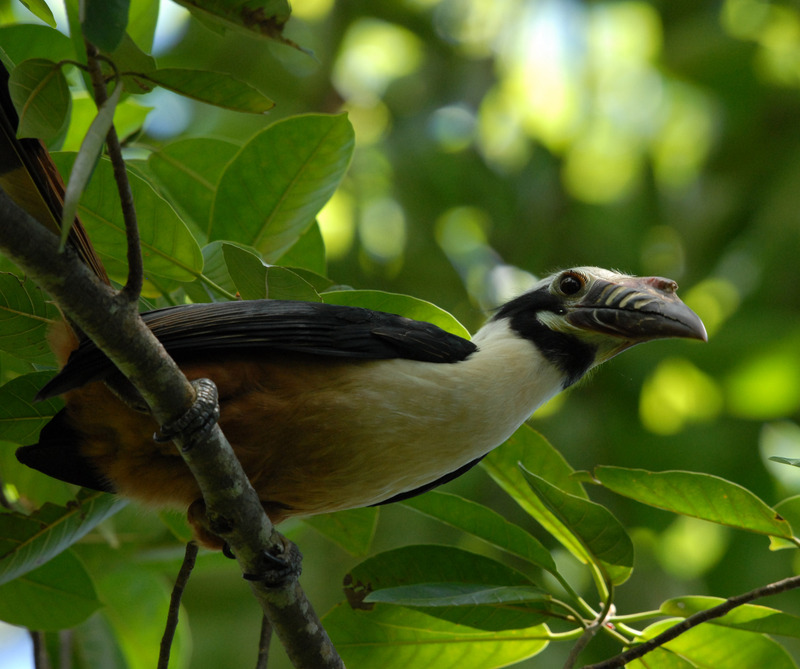 Cooperative breeder; lays two to three eggs March through April; incubation not recorded but nesting cycle c. 95 days. Female molts while breeding and exits cavity with eldest fledgling. 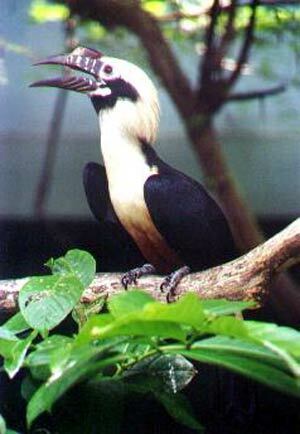 One of the most Endangered hornbills due to habitat loss and excessive hunting.